There is More to Energy Savings Than a Lower Utility Bill | DR Foam Insulation Services Ltd. There is More to Energy Savings Than a Lower Utility Bill | DR Foam Insulation Services Ltd. It goes without saying that you want the lowest utility bills possible, so taking advantage of energy savings through improved home insulation has definite appeal. 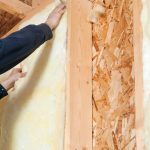 However, there are a number of other benefits you may not have thought about that make investing in insulation even better. First of all, as Canadians we love nature, and preserving our beautiful country is an important part of how we live. When you improve your home’s insulation, those energy savings help our environment as well as your budget. Second, have you thought about where the money you’ll save could be allocated? What if you could pay off your house a few years sooner? How about putting it toward a family vacation for lasting memories? Money sent to the power company is gone forever, but keep it in hand instead and imagine the possibilities! An additional benefit of adding home insulation is that you’ve added to the value of your home. Not only do you enjoy energy savings for as long as you own the home, but you could get a higher selling price when you put it on the market. Last, but not least, it is impossible to put a price tag on how good you’ll feel knowing are doing everything you can for the benefit of your family and your country. Energy savings are a wonderful thing, but so is knowing you are doing the right thing. Here at DR Foam Insulation Services Ltd., we have grown to be one of central Ontario’s leaders in the insulation industry because, like you, we care about our country and its people. We want to help you achieve all the energy savings possible and all the benefits that come with it. We are proud to offer eco-friendly products that can provide you with up to 40% energy savings. Contact us today to learn more and let’s work together to make a difference.